Since the Reds have been so amazing about sharing word of my, um, unusual book tour, I thought I would shine a glaring spotlight on the interior workings of the trip. First, a little background. Last year, when my debut novel came out after a thirteen journey/struggle/battle to publication, my husband and I decided to rent out our house, trade in two cars for an SUV that could handle Denver in February, and withdraw our kids from first and third grades. We spent 7 months and 35,000 miles on the road. We “car-schooled” the children as we traveled the country, visiting bookstores, libraries, book clubs, and other places where readers tend to congregate. On line at the supermarket instead of online via Facebook. Face-to-face in a virtual world. Now, with my second novel just released, we’re set to do it all over again. So, how do we do this? What is it like, getting ready for such a trip? Come along with me for a straight up accounting of one day. You know how glam the life an author leads is, right? Jet planes, handlers, caviar. Well…the day you’re about to take part in may not be exactly like that. 6 am: Wake up but try very hard to go back to sleep. 7 hours’ sleep won’t be enough for what lies ahead. Try the yoga position that sometimes works. Today it doesn’t. 6:20 am: Go downstairs. Kids are already up, eating breakfast, causing me all sorts of worry about how tired they'll be by the end of tomorrow night’s first book event, which always goes later than planned. 6:25 am: Enough time for worrying. Open up laptop and begin to respond to email, Facebook posts, Tweets. Enjoy catching up. Wonder how much time has passed. 8:30 am: Holy something!!! That much time? I haven’t eaten anything. I have to finish a round of edits on my new novel before we hit the road. And—weren’t the kids supposed to learn something today? 8:45 am: Devise lesson about dictionary skills. Explain task to children, state that they must SHARE the brand new, shiny Merriam-Webster’s, hand out pencils and pads. Husband will do math afterwards. 8:46 am: Tell child one that he can sharpen his pencil himself. 8:47 am: Tell child two that no, five words are not as good as ten. 8:48 am: Turn attention to interview I have to fill out and ask husband when that call from the reporter is today. 8:49 am: Figure out why pencil sharpener isn’t working. 8:50 am: Tell child two that no, five words are still not as good as ten. 9:10 am: Finish interview. Check kids’ progress with dictionary. Debate whether to give child two a hard time about beginning a story using the second word she looked up instead of continuing on to her third word. Decide to give her fifteen minutes with her story. Praise child one for being nearly done. Anguish over whether child two will feel unappreciated while cleaning up kitchen. 10:00 am: Talk to husband about buying a roof cargo carrier. If we don’t, we will not be able to fit everything we need in the car. Clothes, boxes of bookmarks, gifts for booksellers, books in case a shipment goes awry, car toys, beloved things from home that kids will miss on the road. Oh, the kids have to fit too. 10:01 am: Check on kids. Note that child two is still writing her story. Decide not to redirect her to dictionary lesson. Then agonize some more. 10:03 am: Help with second breakfast for kids, which consists of bread, jam, and crumbs everywhere. 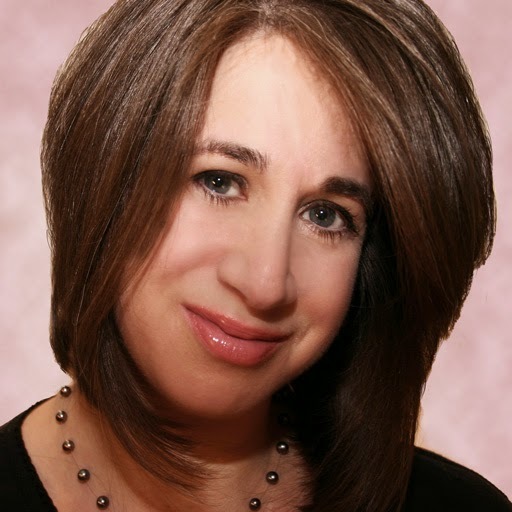 10:10 am: Return attention to email, Facebook, Twitter, blog posts, online interviews. 11:30 am: Holy something!!! Where are the kids? Do we have a rooftop carrier yet? 11:31 am: Suppress urge to ask husband why, when I’ve completed 800 blog posts, 30,000 Tweets, a zillion FB mentions, etc. one little rooftop carrier hasn’t been purchased yet. OK, OK. I’m sure it’s harder than it looks. Plus, I’m cranky. I knew I hadn’t gotten enough sleep. 11:32 am: Eat something. Finally. 11:33 am: Review spelling assignments. Content myself that kids really do seem to be learning something. Agree that child two can finish her story until Daddy is ready to do math. Check the status of the rooftop carrier. 11:34 am: Fix third breakfast. Cheese and crackers, if you're curious. 11:40 am: Announce that if I can’t get to my edits, I will never be able to fall asleep, go on tour, and the world may crumble to bits as well. Absent myself for lunchtime and everything else. 1:30 pm: Emerge from editing cave. Do we have a rooftop carrier? And why haven’t the kids started math? Boy, am I a nag. 1:31 pm: At least I don’t nag for very long. Begin calling booksellers to fill in holes on tour. Reflect how lame I feel, making these calls. What if no one wants to host me? 2:00 pm: After much time spent on hold, checking route, more time on hold, two more events are booked. Kitchen is covered with crumbs. More bread has been consumed. 2:01 pm: Cut up and serve a plate of fresh fruit out of sheer guilt that if left to their own devices, my kids would turn into cream cheese sandwiches. 2:10 pm: Return to blog posts, email, etc. Hear child one ask if I’d like to read her new story. Decide there isn’t anything I would like more. 2:20 pm: Utter panic. I was supposed to turn in an article to my publicist—today! How could I forget this? What happened to that snazzy reminder system set up by tech husband (whom you now know does basically everything)? 2:25 pm: Pace around, knowing I can never write another word worth publishing as long as I live. Stare at screen. Start to write a bunch of words not worth publishing. 3:35 pm: Realize I forgot to have lunch. Go out to crumb-coated kitchen. Peer out window—kids are playing outside. Wonder if they ever got to math. Eat three mini brownies. OK, maybe four. Five. 3:45 pm: Go back to computer. Delete words not worth publishing and really get to work on article. 5:05 pm: Ask husband: DO WE HAVE A ROOF RACK?? Husband points to car. There's a big old box bolted to the roof. Hmm. How'd that get there? 5:10 pm: Come out to kitchen. Crumbs have been cleaned up. Kids are working at the table like two decimal-computing angels. 5:15 pm: (Missing minutes accounted for by kissing husband and telling him he’s the best). Decide what kind of take-out to get for dinner. 6:00 pm: Eat. We’ll be on the road tomorrow and not having dinner in a kitchen of our own. 7:00 pm: Tuck kids into bed. Agree to let them read for a while. It’ll be late nights soon enough. 7:15 pm: Return to computer to answer email, go on Facebook, Twitter, etc. But swear to stop by 8: 30 so I can catch husband up on everything I’ve done today (and he doesn't learn about it on Facebook). 9:30 pm: Holy something!!! How did that much time pass? Decide to take some more missing minutes. Not to talk about work, but just to talk about…us. And those sweet and now decimally equipped kids. 10:30 pm: Fall asleep having finally come up with a blog post idea for Jungle Red Writers. It will explain how I spent one single day. 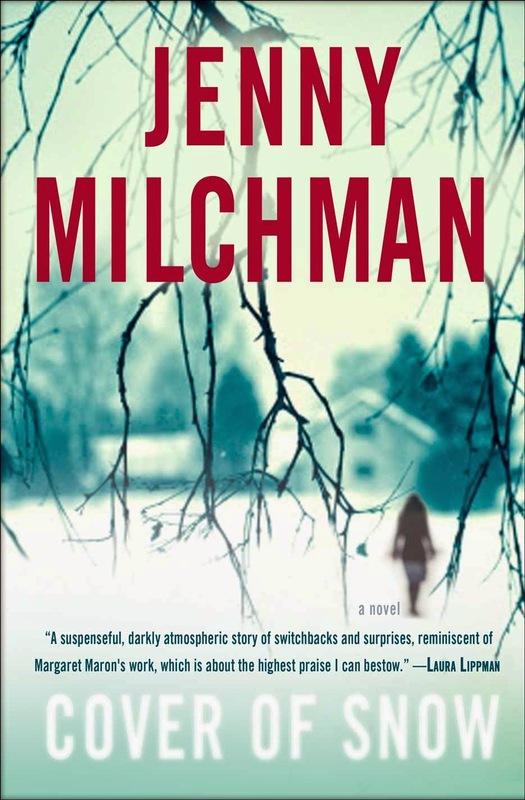 Jenny Milchman's journey to publication took thirteen years, after which she hit the road for seven months with her family on what Shelf Awareness called "the world's longest book tour". Her debut novel, Cover of Snow, was chosen as an Indie Next and Target Pick, praised by the New York Times and San Francisco Journal of Books, given the Mary Higgins Clark award, and nominated for a Barry. Jenny is also the founder of Take Your Child to a Bookstore Day and chair of International Thriller Writers' Debut Authors Program. 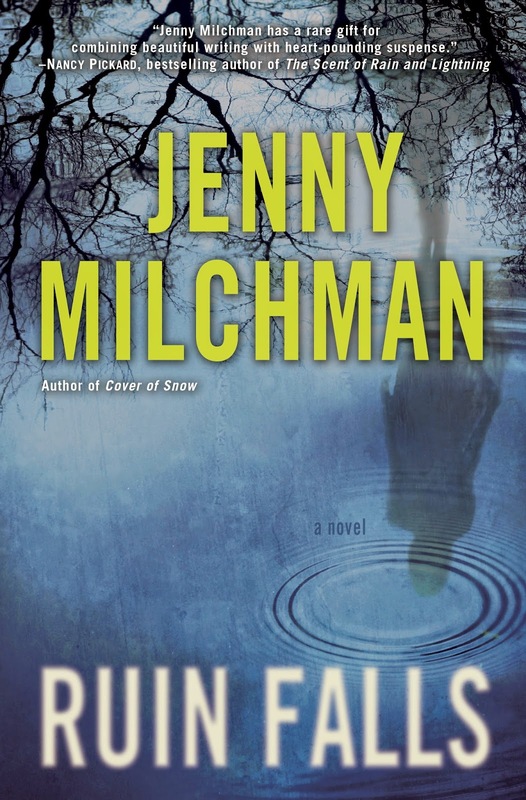 Jenny's second novel, Ruin Falls, just came out, and she and her family are back on the road.You can find out more about Jenny and her books at her website, friend her on Facebook, follow her adventures on Twitter as @jennymilchman or talk books with her on Goodreads. “Cover of Snow” was really great; “Ruin Falls” definitely needs to go on my teetering to-be-read pile . . . .
Can't wait for REUIN FALLS! Love the Holy Somethings!!! As time does find a way of escaping despite our best plans. Best of luck with your current book tour, Jenny. Joan, you actually hit the nail on the head. I was overwhelmed, getting ready to go when I wrote this piece, but overall this is one of the biggest adventures I can imagine. Hopefully for the kids as well. However...we did pull up short to escape tornadoes yesterday! Thanks for your comments, and for liking Cover of Snow. Ah, Jenny. Godspeed on your second epic journey. Looking forward to reading Ruin Falls. When I met kids in Maine last winter, I was impressed by how well-behaved they were. New place, lots of adults, late hour, but it didn't seem to faze them a bit. It's obvious they (and your saintly husband) keep you sane on the road. Holy Something, Jenny Milchman, you are amazing!!!!! And an inspiration to so many. I have RUIN FALLS right here on my nightstand and if I enjoy it even half as much as COVER OF SNOW I'm going to be very happy woman. I'm already quite sure it's going to be another huge hit. Loved getting to visit with you at Malice, Jenny - and one of these days I'm going to get to meet your equally amazing Josh and some very, VERY cool kids! I am exhausted reading this! As in: The Writing Life: Are We Having Fun Yet? It sounds as if you are. I waited until my kids were pretty much on their own before I started writing. Still, I'm quite sure I could never undertake the kind of book tour you've set for yourself. Looking forward to reading Ruin Falls! And, of course, a big thank you to the Reds for allowing me to share a portion of this wonderful/crazy trip. Next up: A day in the life ON book tour? Back soon to answer your terrific comments. Now steaming through Iowa to escape tornadoes. Okay, first, good luck escaping the tornadoes. Second, people often ask me how I juggled kids, family, a day job, and writing. Next time, I'm going to point to this post and say, "Now THAT'S juggling a lot." JENNY MILCHMAN! LOVE YOU! Oops, caps lock, but I'm not gonna change it! I am spilling over with gush about you and your wonderful family--and I must say, even though I know how you do it, I do NOT know how you do it. Thank you all for these wonderful comments, and making me sound waaaaay better than I am. I mean this seriously. What I have figured out on this second installation is that I am not juggling at all. YOU all are. You juggle jobs, families, going out, going in, writing, not writing. While what I do is pooch it all into one big ball...or one not so big car. Far from balancing, I am hitching everything and everyone to my dream. Which I worry about every day, as you can probably imagine. For those who have met our kids, thank you for thinking they will be all right. They adored meeting you too...and that may be in the end, the best thing for them of all. Off now to try and make Denver. The thing I find fascinating about Jenny's "World's Longest Book Tour" is that she's standing conventional publishing wisdom on its head. Today, it's all about being on-line; authors are told to expand social media, visit blogs, pin photos. The traditional book tour - appearing live at bookstores, libraries and groups - is definitely being downplayed. I think Jenny's success shows that conventional wisdom is wrong - talking to readers and librarians and booksellers can and does make a difference to a writer's career. I am impressed at how you all juggle and grateful that you manage to give us these great books. Sometimes it's hard for me to just keep up with reading blogs and posting a comment. Good luck, Jenny. Love the "car-schooling." Off to get "Cover of Snow." I've been thinking a lot about what Julia mentioned -- about actually getting out there into the real world. I have a feeling that's still where it's at. Hank is a great example of this too. Meeting authors face-to-face is awesome. But thank goodness for digital for those of us who can't travel, right? That's true, Mary -- I don't have the bandwidth for travel either. And even if I did, would I do big book tours? Not sure -- I'm on the introverted/get-tired-out end of the spectrum. Jenny, what an amazing adventure for your family! 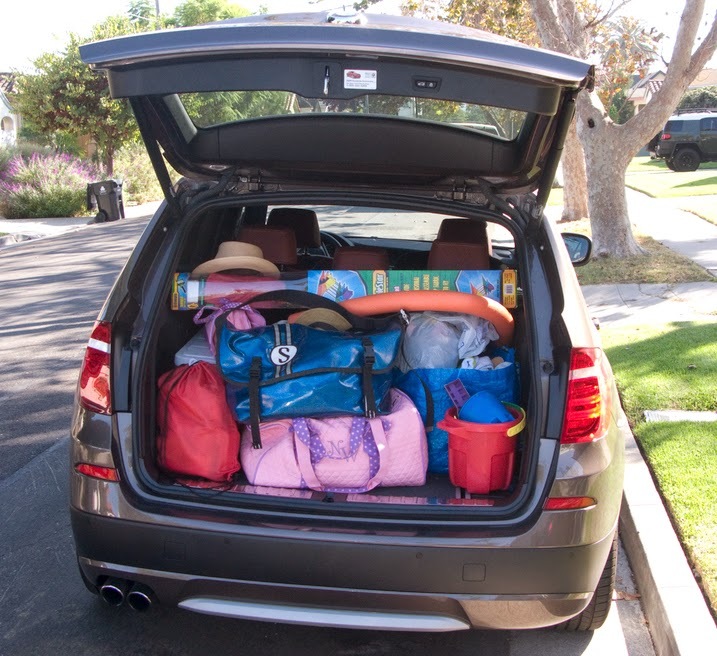 Your kids are going to benefit from this traveling so much, and it sounds like you and your husband are great at the "car schooling" lessons. Your book tour really teaches working together as a family. Your sampling of a day in the life, while exhausting, shows a clarity of purpose and determination that will surely rise up to meet any obstacles in your path. Enjoy this special time and kudos to your bravery and vision. I admit that I haven't gotten to read Cover of Snow yet, but I'm excited about doing so and adding Ruin Falls to my list, too. Congratulations on the Mary Higgins Clark Award, a wonderful honor! But, seriously, I think it's good for kids to see their moms in different roles, and to see what the so-called grown-up world is like. And if it's a world with books, all the better! You guys are going to have a great time and make wonderful memories. Enjoy your road trip Jenny. I really liked Cover of Snow. I'll definitely look for Ruin Falls. Also, mindboggling -- the amount of online time it takes to keep up on everything. It's crazy, isn't it? Do you manage to get new-novel writing in while you're on book tour? Because I imagine you need to be thinking about the fourth novel now, right? How do you get your writing in? Jenny, if you have a chance, could you let us know where to find a list of stores or other venues where you'll be putting in an appearance? You have such a great sense of humor about your very busy schedule! I'm sure it's your saving grace when things seem overly hectic! Hi everyone from Lincoln, NE! One of the things that's different this time around is that we are moving on basically every day, whereas last time we had some stay put days. That definitely adds some burden...especially for my husband/tour organizer who works from the car. He's a surgeon. That's a joke. But seriously, this comment thread is going in a direction that I've been giving a lot of thought to lately, and that's the introvert extrovert dimension, or Mary's point about inability to travel. In fact I just gave an interview that covered this very topic. To add a few quick thoughts, I don't think doing seven days, let alone seven months, of this I necessary. I don't think anything is NECESSARY actually, in the sense of, If you don't do this, then you won't have a career as a writer. Insteaad, I think we all need to find ways of being a writer that will add to our lives and love of the game. That we possible, also. If that's hitting the road for half your life, hey, come talk to me. I've got some tips. If it's being online in any number of ways, or something we haven't even talked about yet, that's great, too. The important thing is finding an approach that's so natural and organic, it hardly even feels like work. It feels like riches. Which the Reds and you all do to me. In terms of Lisa's question! what I did last year was edit my new book (Ruin Falls) on the road, then write my third (which is really my eleventh...long story) while home between torus. A new and rented out home, but still one place for a while. (Nother long story). That's what I'm hoping will happen this time...and already the new characters are starting to dance in my head, so I am hopeful. Jenny, thanks so much for taking time on the road to stop. I'm often drawn to an author's books based on her personality - and yours is so fun and open, I'm going to have to add COVER OF SNOW to my teetering TBR pile. Hi, Jenny! The kids seemed to be thriving on the touring when I saw them last year. If nothing else, they are learning a hugely important lesson about reaching for your dream, aren't they? Reine, I have really come to the conclusion that doing things this way buys me out of a lot of the juggle, for which I so admire others doing. I appreciate your appreciating it--but I wonder if in the end this is far easier than other ways? Linda, I know the kids will be so happy to pull up again in KC (and I will be awfully glad to see you all there, too)! These comments have been such fun for me today, everyone. Thank you, Reds, thank you, each and every traveler to the blog. I hope I can catch up with you...in person would be grand, and if not, then perhaps in a post later on, about some of the magic, some of the rawness, once we really get going. In the meantime, love from La Platte, Nebraska.